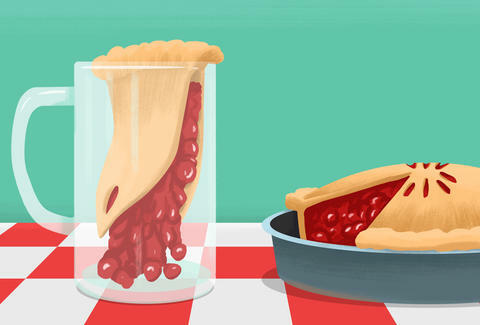 Let's be real: You're eating more than 3.14 slices of pie this Thanksgiving. But are you drinking enough pie flavors this holiday season? Rectify your sad, pie beer-less existence with these seven delicious brews from top-notch breweries across the country. Whether you're an apple-, pumpkin-, Key lime-, or shoo-fly pie-loving person, this is the beer you need to drink with your feast. 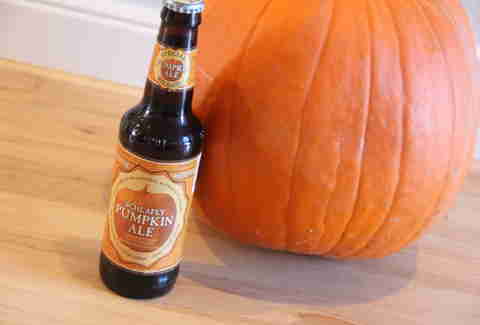 This beer tastes like someone blended pumpkin pie and beer and then sprinkled pumpkin spice magic on it. You'll get the usual assortment of pumpkin pie spices like clove and cinnamon, but the beer is so expertly brewed that you can actually imagine eating Thanksgiving's favorite pie as you toss a few back. And since this is 8%, you'll probably be taking a nap afterwards. If you've never been to Lancaster, know that it's nothing like the rest of Pennsylvania. The area's version of traffic is being in a car stuck behind a slow-moving Amish-led horse and buggy. And in Amish Country, pie doesn't mean pumpkin or apple -- it means shoo-fly, a molasses-laden Dutch favorite that's on windowsills throughout the region. Drinking this mimics the shoo-fly experience -- it's a rich, seasonal porter loaded with locally grown molasses, brown sugar, and vanilla. The beer is liquid Lancaster County, minus the part where you're stuck behind a horse and buggy. From the same brewery that made the hard root beer everyone was freaking out about last year comes yet another tantalizingly sweet take on a classic. Don't mistake this for a cider -- it's actual beer brewed with apple juice and flavors you might find in an apple pie, including vanilla, cinnamon, and nutmeg. It's currently on tap at the brewery in Wauconda, Illinois (about an hour outside of Chicago), and will be in fine beer stores everywhere soon. Get ready for this to change the beer-float game when it arrives. À la mode beer has a nice ring to it. 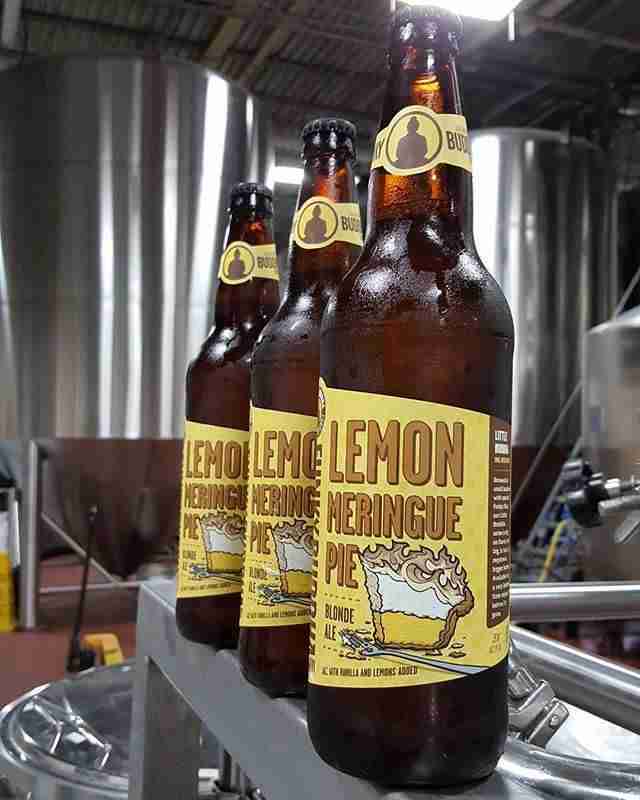 You just knew the cult-favorite Florida brewery that famously releases Maple Bacon Coffee Porter, Sweet Potato Casserole, and Blueberry Cobbler beers was going to bring it with a Lemon Meringue Pie brew, didn't you? And it sure did, adding lemon and vanilla to its blonde ale to create a beer that smells like citrus and tastes like a lusty mix of lemons and vanilla. Let's be real: Beers like this can be an absolute sugary mess in the hands of a less competent brewer. Funky Buddha is what it is because it knocks these types of beers out of the park consistently. What was once a one-off beer is now a seasonal available Oct-Dec, just in time to pair perfectly with Thanksgiving dessert (no, bourbon's not a dessert). The beer's brewed with Vermont maple syrup, bourbon-soaked oak chips, and Japanese pecans, resulting in pecan pie aromas on the nose and delicious maple notes on the finish. Any beer that's 9.8% with this level of sweetness is meant to be a sipper, so be sure to pour yourself a glass the second anyone at your family's Thanksgiving dinner starts talking about politics. The majority of the beers in this rundown are on the sweet side. Mama Bear's brings balance to the pie-beer universe by going sour. Crooked Stave has fast gained a nationwide reputation after it made every beer nerd in Colorado's taste buds explode (in a good way!) beginning in 2011. This offering is a burgundy sour aged in oak with Colorado cherries, and the end result is a delightful mouthful of tart cherries, cinnamon, vanilla, and oak. Drinking an "experimental beer" sounds a little foreboding, but it shouldn't when it comes to this Key lime beer -- especially one that's won two awards in the Experimental Beer category at the Great American Beer Festival. Short's, like Funky Buddha, is on the short list of beloved breweries not afraid to go big with off-the-wall, fruit-enhanced beers. This fan-favorite imparts graham cracker, Marshmallow Fluff, and fresh limes. Perhaps most importantly, the brew fills up the part of your soul that is too lazy to bake and eat a pie, but has just enough energy to walk to the fridge and crack open a beer. Lee Breslouer is a senior writer for Thrillist, and needs both more pie and beer in his life. Follow him to empty calories @LeeBreslouer.